The Costume & Cosplay Showcase is DPCC’s celebration of the creativity, excitement, and individuality of our amazing costumers. Regardless of one’s skill level, age, fandom, or budget, the Showcase is the place to show-off what makes your costume or cosplay, uniquely you! While there are awards associated with the Showcase, the priority of the Costume Celebration is to provide attendees and participants with an opportunity to applaud and admire their costumes and fandoms. The Showcase does not include any form of craftsmanship judging nor are there bracketed prizes; individual judges may present specific “Judge’s Choice” awards, and attendees will vote for the 2019 “Showcase Showstopper”. 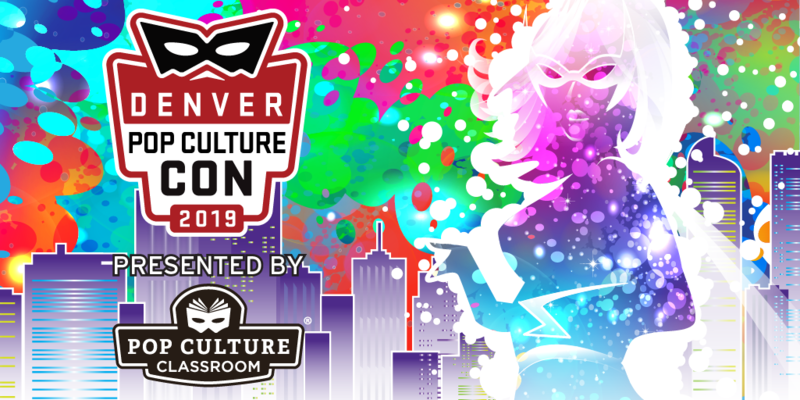 Registration will be open from April 1, 2019 through May 1, 2019 OR until all 50 pre-con registrations slots are filled -- additional registration opportunities will be available onsite at Denver Pop Culture Con. Costume & Prop Information: Participants may be required to navigate stairs during the check-in/staging/queuing process; if you have ADA requests OR your costume prohibits movement and isn’t able to traverse stairs and standard walkways/doorways, please alert DPCC (cosplay@popcultureclassroom.org) by Friday, May 17 for special arrangements -- DPCC will not be able to accommodate special requests through onsite registration. Do you (and if applicable anyone in your group) have any ADA requests? Does your costume (and if applicable the costume of everyone in your group) allow you to move up and down stairs and sit for a minimum of one hour?